For serious off-roading there are few vehicles that can keep up with a Jeep Wrangler. But if you don’t have the money or the room in your garage for one, you could always buy yourself one of these mini Jeeps. 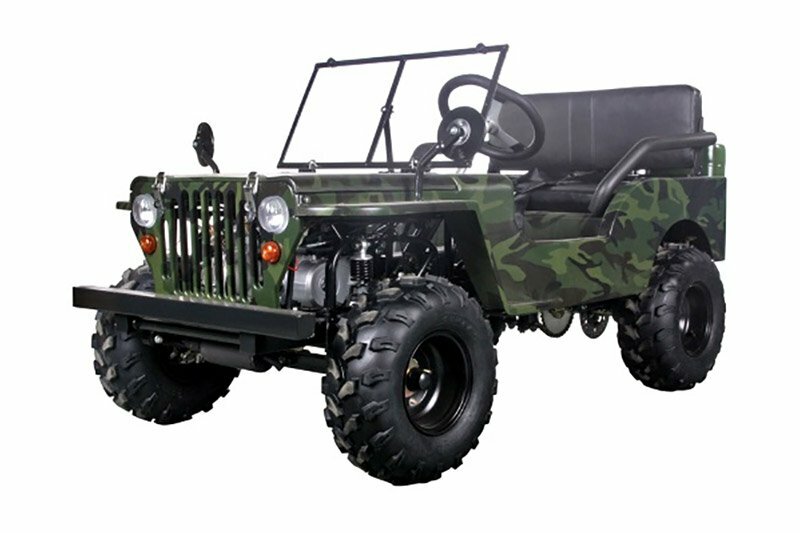 They’re based on the design of the classic army Jeep, and measure in at just 78.74″ long by 35.43″ wide, making this Jeep a almost exactly 60% scale to the original Willys MB. Its 9.84″ ground clearance bests most of the SUVs on the road today, and it comes with rugged 18″ x 9.5″ tires to help handle all kinds of terrain. 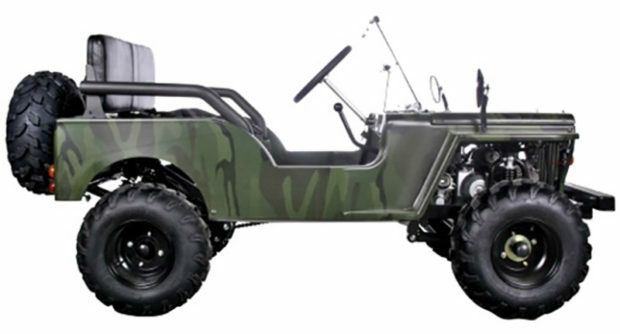 It’s powered by a 125cc 4-stroke, one-cylinder engine, and has a 3-speed gearbox with reverse. 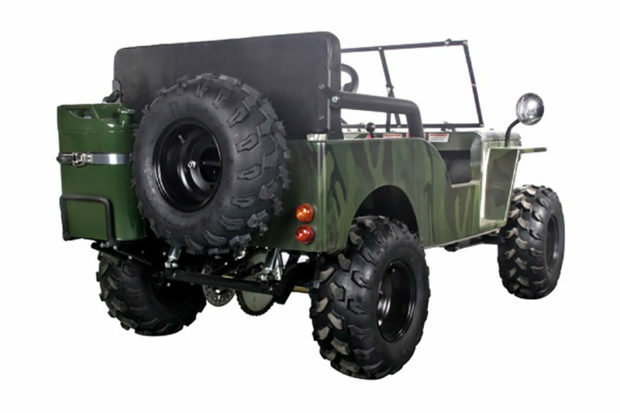 It doesn’t appear to have the sort of forgiving, long-travel suspension you’d find in an ATV like a Polaris, but you’ll look so much cooler at the off-road park driving this guy. 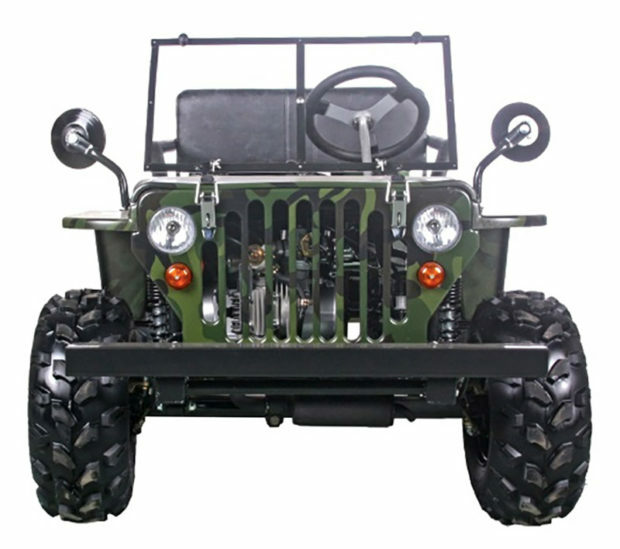 If you want a mini Jeep for yourself, SaferWholesale has them for sale starting just under $3,000, but often has them on sale for closer to $2,500 or less.